Now new! 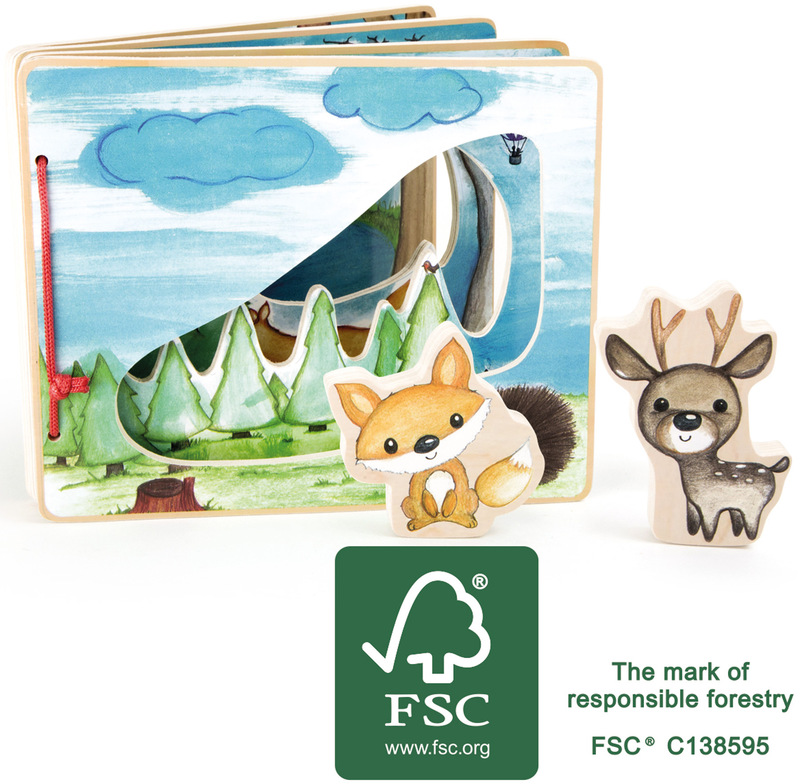 Picture Book „Interactive Forest“ is getting its FSC® certification! Products with the FSC® seal stand for particular environmental and social responsibility. The wood materials used in our production come from sustainably manage forests or plantations which are regularly and independently inspected and certified according to the strict international guidelines of the Forest Steward Council (FSC®). Order this new FSC®-certified product from this growing portion of our product assortment today! The forest is calling! With this interactive picture book made of FSC® 100%-certified wood, children can dive happily into the world of the forest. The adventurous fox and the curious deer take the young explorers on a hike through the thick forests of the book. This is how young children can playfully discover flora and fauna with their animal companions. This is a wonderful book which will inspire them to experience fantasies and exciting stories. The two forest animals can be attached to the back of the book with Velcro pieces for safe transport. Every page is full of interactive games which train children´s motor skills. Please note that this product previously had the product number 10073.